DREAM condo! The Neil P Anderson was built in 1921 by Sanguinet and Staats, was the cotton exchange building. NATIONAL REGISTER OF HISTORIC PLACES! And in 2004 the conversion to condos began! Beautifully restored. Genteel hallways, western and historic touches. Many original features are preserved. 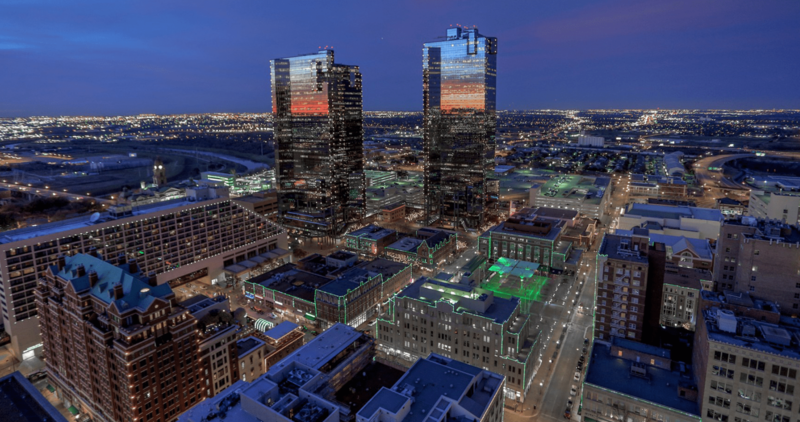 It's a place to be and near all of downtown Fort Worth! 8th floor of 11 total floors. Morning sun washes in from the windows and fabulous private balcony! Quiet, classy space! Granite and custom cabinets. Many custom features! Light and bright but no west exposure! Right across from Burnett Park. 2 parking spaces right next to each other! Newly painted interiors. Wonderfully cool and convenient! Storage in basement!